This is a reasonably fancy Chinese restaurant. I've had some great feed here, but also some rather average feed. The waiter is fairly dry and matter-of-fact, but provides lots of useful information about the dishes on the menu. Almost everything on the menu has some amount of chilli in it. 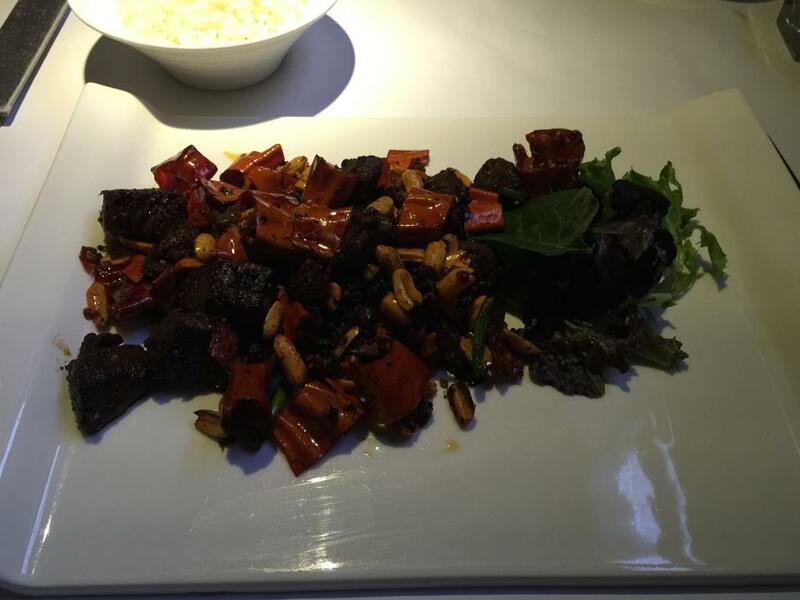 Diced MSA tenderloin beef with crispy mild chilli and peanuts in black bean, ginger and shallot sauce. This dish is surprisingly almost not spicy at all. Eating giant chillis is somewhat unusual. The pieces of beef have a good browned outside, and are juicy. 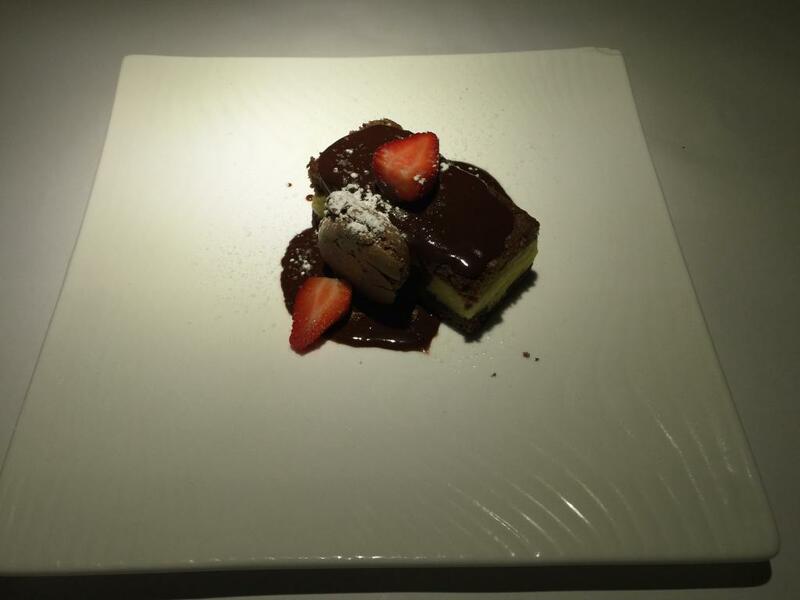 However, it's difficult to actually eat this dish. The pieces are huge and mostly dry, and it's hard to get more than two of them onto a fork. The dish is a bit on the simple side, and the big pieces of chilli (while not being incineratingly hot) just taste like big crispy pieces of capsicum. A melt in your mouth chocolate dessert with layers of rich chocolate cake, vanilla anglaise, Chantilly cream, strawberry wedges and chocolate macaroon. This is two layers of lukewarm chocolate sponge cake, with a layer of cold, mealy custard between them. It has little sweetness or flavour. The chocolate macaroon and its gooey centre aren't bad, but there's nothing else redeeming about this dessert.